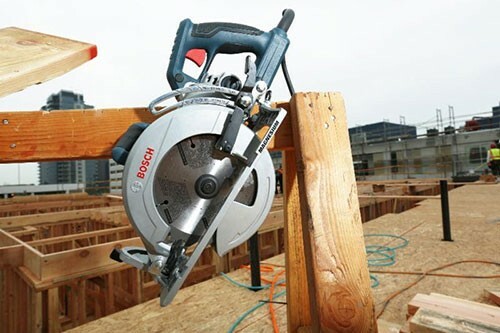 Not too long ago Skil came out with a new Magnesium Worm Drive Saw, and people on the internet quickly noticed that it looked less like previous Skil saw designs and more like the worm drive saws by Bosch. Well that news wasn't that surprising considering both brands are part of the Robert Bosch Tool Corporation. 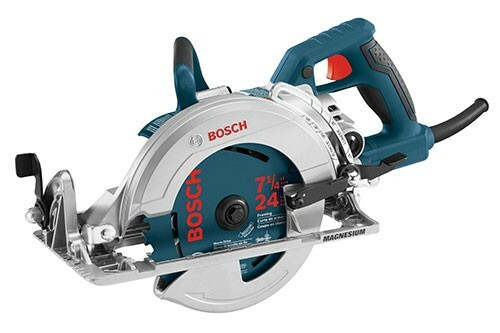 Now Bosch has announced that they too have come out with a new Magnesium Worm Drive Saw (CSW41), and except for the colors and some branding it looks just like the Skil MAG77LT. So did Bosch copy Skil who copied Bosch, or did Bosch just let Skil go first? Both saws weigh 13.2 pounds, offer the same lightweight magnesium body construction, bevel up to 53-degrees with a positive lock at 45. They have quick action adjustment levers and an on-board multi-tool that can be used to change blades, replace brushes and do other tool maintenance. All of the specs I can find on both tools are identical, so in my mind they are the same tool. So I guess the question is—Red or Blue? Or maybe just go with whichever is cheapest.